This is a list of the native wild mammal species recorded in South America. South America's terrestrial mammals fall into three distinct groups: 'old-timers', African immigrants and recent North American immigrants. The marsupials and xenarthrans are 'old-timers', their ancestors having been present on the continent since at least the very early Cenozoic Era. During the early Cenozoic, South America's only land connection was to Antarctica, so it was effectively cut off from most of the world; as the fragments of Gondwana continued to separate, this connection was lost, leaving South America an island continent. Caviomorph rodents and monkeys arrived as 'waif dispersers' by rafting across the Atlantic from Africa in the Eocene epoch, 35 million or more years ago. 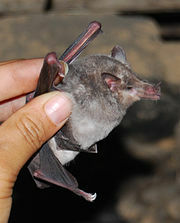 All the remaining nonflying mammals of South America are recent arrivals, having migrated from North America via Central America during the past seven million years as part of the Great American Interchange; this invasion, which peaked around three million years ago, was made possible when the formation of the volcanic Isthmus of Panama bridged North and South America. 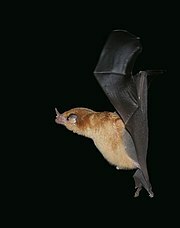 The newcomers out-competed and drove to extinction many unique mammals that had evolved during South America's long period of isolation, as well as some species from other classes (e.g., terror birds). South America suffered another major loss of mammal species in the Quaternary extinction event, which started around 12500 cal BP, at roughly the time of arrival of Paleoindians, and may have lasted up to several thousand years. At least 37 genera of mammals were eliminated, including most of the megafauna. While South America currently has no megaherbivore species weighing more than 1000 kg, prior to this event it had a menagerie of about 25 of them (consisting of gomphotheres, camelids, ground sloths, glyptodonts, and toxodontids – 75% of these being 'old-timers'), dwarfing Africa's present and recent total of 6. Anthropogenic climate change and the damage to its ecosystems resulting from the rapid recent growth of the human population pose a further threat to South America's biodiversity. 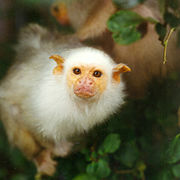 The list consists of those species found in the nations or overseas territories of continental South America (including their island possessions, such as the Galápagos), as well as in Trinidad and Tobago and the Falkland Islands; Panama is not included. 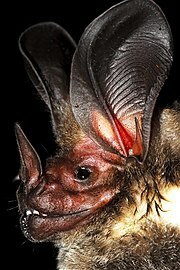 As of May 2012, the list contains 1331 species, 340 genera, 62 families and 15 orders. Of the taxa from nonflying, nonmarine groups (992 species, 230 genera, 40 families and 12 orders), 'old-timers' comprise 14% of species, 15% of genera, 20% of families and 42% of orders; African immigrants make up 38% of species, 30% of genera, 40% of families and 17% of orders; North American invaders constitute 49% of species 55% of genera, 40% of families and 50% of orders. At the order level, the 'old-timers' are overrepresented because of their ancient local origins, while the African immigrants are underrepresented because of their 'sweepstakes' mode of dispersal. Of the species, 9 are extinct, 29 are critically endangered, 64 are endangered, 111 are vulnerable, 64 are near-threatened, and 255 are data-deficient. 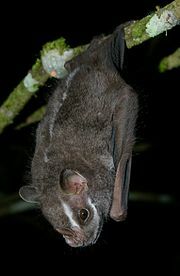 [n 1] Mammal species presumed extinct since AD 1500 (nine or ten cases) are included. 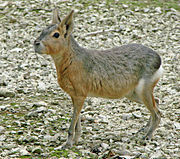 Domestic species (e.g., the guinea pig, alpaca, and llama) and introduced species are not listed. NOTE: this list is inevitably going to be incomplete, since new species are continually being recognized via discovery or reclassification. 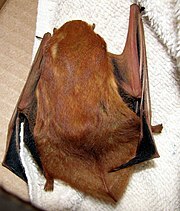 Places to check for missing species include the Wikipedia missing mammal species list, including recently removed entries, and the species listings in the articles for mammalian genera, especially those of small mammals such as rodents or bats. EX EX Extinct No reasonable doubt that the last individual has died. EW EW Extinct in the wild Known only to survive in captivity or as a naturalized population well outside its historic range. 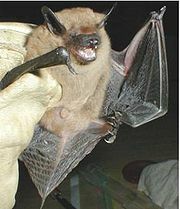 CR CR Critically endangered The species is in imminent danger of extinction in the wild. EN EN Endangered The species is facing a very high risk of extinction in the wild. VU VU Vulnerable The species is facing a high risk of extinction in the wild. NT NT Near threatened The species does not qualify as being at high risk of extinction but is likely to do so in the future. 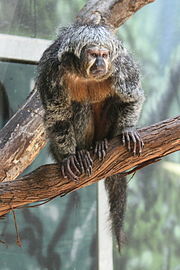 LC LC Least concern The species is not currently at risk of extinction in the wild. DD DD Data deficient There is inadequate information to assess the risk of extinction for this species. 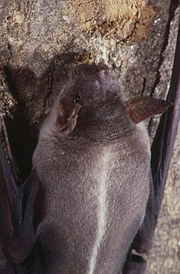 NE NE Not evaluated The conservation status of the species has not been studied. 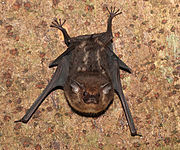 The IUCN status of all listed species except bats was last updated during the period from March to June 2009; bats were updated in September 2009. The infraclass Metatheria includes all living and extinct marsupials, but also includes some related extinct orders of mammals that are no longer considered marsupials, such as Sparassodonta. At least six families of sparassodonts lived in South America prior to the interchange, dominating the niches for large mammalian carnivores. Marsupials are a collection of pouched mammals that was once more widely distributed. 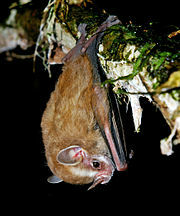 Today they are found primarily in isolated or formerly isolated continents of Gondwanan origin. South America's 22 extant genera compares with 10 in Central America, 1 in North America north of Mexico, 52 in Australia, 28 in New Guinea and 2 in Sulawesi. 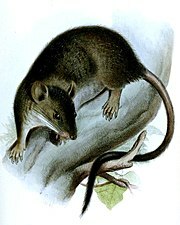 South American marsupials are thought to be ancestral to those of Australasia. Didelphimorphia is the order of common opossums of the Western Hemisphere. Opossums probably diverged from the basic South American marsupials in the late Cretaceous or early Paleocene. 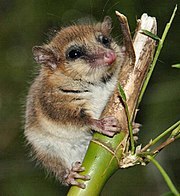 They are small to medium-sized marsupials, about the size of a large house cat, with a long snout and prehensile tail. There are six extant species of shrew opossum. They are small shrew-like marsupials confined to the Andes. 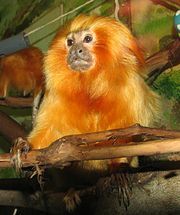 The monito del monte of Chile and Argentina is the only extant member of its family and the only surviving member of an ancient order, Microbiotheria. It appears to be more closely related to Australian marsupials than to other Neotropic marsupials; this is a reflection of the South American origin of all Australasian marsupials. Sirenia is an order of fully aquatic, herbivorous mammals that inhabit rivers, estuaries, coastal marine waters, swamps, and marine wetlands. All four species are endangered. They evolved about 50 million years ago, and their closest living relatives are elephants. The manatees are the only extant afrotherians in the Americas. However, a number proboscid species, some of which survived until the arrival of Paleoindians, once inhabited the region. Those that reached South America have usually been classified as gomphotheres, but sometimes instead as elephantids. The armadillos are small mammals with a bony armored shell. All 21 extant species are found in South America, where they originated. Their much larger relatives, the pampatheres and glyptodonts, once lived in North and South America but became extinct following the appearance of humans. 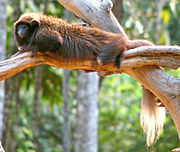 The order Pilosa is confined to the Americas and contains the tree sloths and anteaters (which include the tamanduas). All 5 extant genera and 9 of 10 extant species are present in South America, the ancestral home of the group. (The exception is the pygmy three-toed sloth, endemic to an island off Panama.) 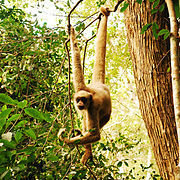 Numerous ground sloths, some of which reached the size of elephants, were once present in both North and South America, as well as on the Antilles. (Some west coastal South American forms had even evolved into marine sloths.) All of these went extinct following the arrival of humans. Extant tree sloths fall into two groups that are not closely related, and which do not form a clade; two-toed sloths are much more closely related to some extinct ground sloths than to three-toed sloths. 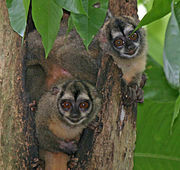 The order Primates includes the lemurs, monkeys, and apes, with the latter category including humans. 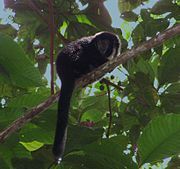 It is divided into four main groupings: strepsirrhines, tarsiers, monkeys of the New World (parvorder Platyrrhini), and monkeys and apes of the Old World. South America's 20 genera of nonhuman primates compares with 6 in Central America, 15 in Madagascar, 23 in Africa and 19 in Asia. 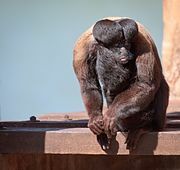 All South American monkeys are believed to be descended from ancestors that rafted over from Africa about 25 million years ago in a single dispersal event. Atlantic spiny rat, Trinomys sp. 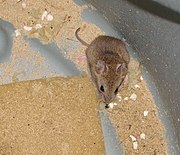 Rodents make up the largest order of mammals, with over 40 percent of mammalian species. 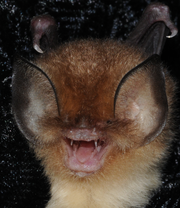 They have two incisors in the upper and lower jaw which grow continually and must be kept short by gnawing. Most rodents are small, although the capybara can weigh up to 45 kg (100 lb). South America's rodent fauna today is largely an outgrowth of two spectacularly fortunate ancient "sweepstakes" dispersal events, each of which was followed by explosive diversification. 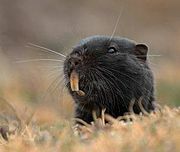 Caviomorphs, the first rodents to reach the continent, are believed to have washed ashore after rafting across the Atlantic from Africa over 30 million years ago. 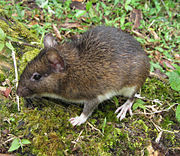 More recently, ancestral sigmodontine rodents apparently island-hopped from Central America 5 million or more years ago, prior to the formation of the Panamanian land bridge. These two groups now comprise 36 and 60%, respectively, of all South American rodent species. The corresponding figures are 10 and 27% for Central America, 2% and 10% for Mexico, 0.5 and 3% for North America north of Mexico, and 72 and 27% for recent endemic Caribbean rodents. [n 2] Conversely, sciurids make up 3% of rodents in South America, 8% in Central America, 15% in Mexico and 31% in North America north of Mexico, while castorimorphs are 1%, 16%, 26% and 28%, respectively. 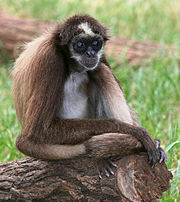 Sciurids are absent from South America's southern cone, while castorimorphs are only present in northwest South America (Colombia, Venezuela and Ecuador). Illustrating the advantage of gaining a head start in colonizing a new land mass, sigmodontine rodents comprise 99.5% of all cricetid rodents in South America, but only 42% in Central America, 17% in Mexico and 7% in North America north of Mexico. 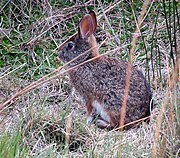 The lagomorphs comprise two families, Leporidae (hares and rabbits), and Ochotonidae (pikas). Though they can resemble rodents, and were classified as a superfamily in that order until the early 20th century, they have since been considered a separate order. They differ from rodents in a number of physical characteristics, such as having four incisors in the upper jaw rather than two. South America's meager lagomorph diversity (6 species compared to 18 for North America north of Mexico) reflects their recent arrival and failure (so far) to diversify much. 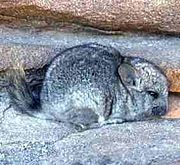 Only the tapeti is present south of northern South America; lagomorphs are absent from most of South America's southern cone. 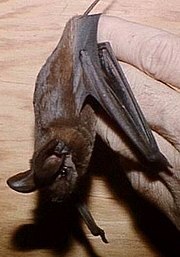 Eulipotyphlans are insectivorous mammals. Shrews and solenodons closely resemble mice, hedgehogs carry spines, while moles are stout-bodied burrowers. In South America, shrews are only found in the north (Colombia, Venezuela, Ecuador and Peru), a legacy of their relatively recent immigration to the continent by way of Central America (where shrew species are considerably more diverse). Moles are not found in the Americas south of northern Mexico. There are over 260 species of carnivorans, the majority of which feed primarily on meat. 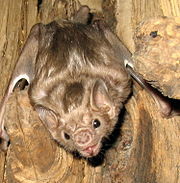 They have a characteristic skull shape and dentition. South America is notable for its diversity of canids, having more genera than any other continent in spite of their relatively brief history there. South America's felid diversity is also greater than that of North America north of Mexico, while its mustelid diversity is comparable and its mephitid and ursid diversities are lower. Its procyonid diversity is somewhat less than that of Central America, the center of the family's recent evolution. The diversification of canids and felids in South America was partly a consequence of the inability of the continent's native avian and metatherian predators to compete effectively following the Great American Interchange. The odd-toed ungulates are browsing and grazing mammals. They are usually large to very large, and have relatively simple stomachs and a large middle toe. Following the interchange with North America, South America's odd-toed ungulates included equids of genus Equus as well as tapirs. Equids died out in both North and South America around the time of the first arrival of humans, while tapirs died out in most of North America but survived in Central and South America. South America also once had a great diversity of ungulates of native origin, but these dwindled after the interchange with North America, and disappeared entirely following the arrival of humans. Sequencing of collagen from fossils of one recently extinct species each of notoungulates and litopterns has indicated that these orders comprise a sister group to the perissodactyls. If, as some evidence suggests, perissodactyls originated in India, both ungulate groups may have been of Gondwanan origin, despite being laurasiatheres. The weight of even-toed ungulates is borne about equally by the third and fourth toes, rather than mostly or entirely by the third as in perissodactyls. There are about 220 noncetacean artiodactyl species, including many that are of great economic importance to humans. South America's considerable cervid diversity belies their relatively recent arrival. The presence of camelids in South America but not North America today is ironic, given that they have a 45-million-year-long history in the latter continent (where they originated), and only a 3 million year history in the former. The infraorder Cetacea includes whales, dolphins and porpoises. They are the mammals most fully adapted to aquatic life with a spindle-shaped nearly hairless body, protected by a thick layer of blubber, and forelimbs and tail modified to provide propulsion underwater. Their closest extant relatives are the hippos, which are artiodactyls, from which cetaceans descended; cetaceans are thus also artiodactyls. 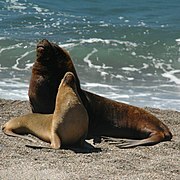 ^ This list is derived from the IUCN Red List which lists species of mammals. 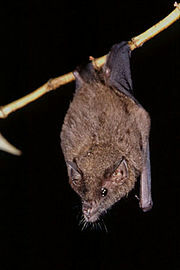 The taxonomy and naming of the individual species is based on those used in existing Wikipedia articles as of 21 May 2007 and supplemented by the common names and taxonomy from the IUCN, Smithsonian Institution, or University of Michigan where no Wikipedia article was available. ^ Poux, C.; Chevret, P.; Huchon, D.; de Jong, W. W.; Douzery, E. J. P. (2006). "Arrival and Diversification of Caviomorph Rodents and Platyrrhine Primates in South America" (PDF). Systematic Biology. 55 (2): 228–244. doi:10.1080/10635150500481390. PMID 16551580. Retrieved 2016-02-01. ^ Antoine, P.O. ; Marivaux, L.; Croft, D. A.; Billet, G.; Ganerod, M.; Jaramillo, C.; Martin, T.; Orliac, M. J.; et al. (2011). "Middle Eocene rodents from Peruvian Amazonia reveal the pattern and timing of caviomorph origins and biogeography". Proceedings of the Royal Society B: Biological Sciences. 279 (1732): 1319–1326. doi:10.1098/rspb.2011.1732. PMC 3282368. PMID 21993503. ^ Bond, M.; Tejedor, M. F.; Campbell, K. E.; Chornogubsky, L.; Novo, N.; Goin, F. (2015-02-04). "Eocene primates of South America and the African origins of New World monkeys". Nature. 520 (7548): 538–541. doi:10.1038/nature14120. PMID 25652825. ^ Marshall, L. G. (July–August 1988). "Land Mammals and the Great American Interchange" (PDF). American Scientist. Sigma Xi. 76 (4): 380–388. Archived (PDF) from the original on 2013-03-02. Retrieved 2009-06-06. ^ Fiedal, Stuart (2009). "Sudden Deaths: The Chronology of Terminal Pleistocene Megafaunal Extinction". In Haynes, Gary (ed.). American Megafaunal Extinctions at the End of the Pleistocene. Vertebrate Paleobiology and Paleoanthropology. Springer. pp. 21–37. doi:10.1007/978-1-4020-8793-6_2. ISBN 978-1-4020-8792-9. OCLC 313368423. ^ Martin, P. S. (2005). "Chapter 1. Discovering the Last Lost World". Twilight of the Mammoths: Ice Age Extinctions and the Rewilding of America. University of California Press. pp. 30–37. ISBN 978-0-520-23141-2. OCLC 58055404. Retrieved 2014-11-11. ^ a b Nilsson, M. A.; Churakov, G.; Sommer, M.; Tran, N. V.; Zemann, A.; Brosius, J.; Schmitz, J. (2010-07-27). Penny, D. (ed.). "Tracking Marsupial Evolution Using Archaic Genomic Retroposon Insertions". PLoS Biology. 8 (7): e1000436. doi:10.1371/journal.pbio.1000436. PMC 2910653. PMID 20668664. ^ Steppan, Scott J. (1996). "Sigmodontinae: Neotropical mice and rats". Tree of Life web project. Retrieved 2010-04-14. ^ Marshall, L. G.; Butler, R. F.; Drake, R. E.; Curtis, G. H.; Tedford, R. H. (1979-04-20). "Calibration of the Great American Interchange". Science. 204 (4390): 272–279. doi:10.1126/science.204.4390.272. PMID 17800342. ^ Engel, S. R.; Hogan, K. M.; Taylor, J. F.; Davis, S. K. (1998). "Molecular Systematics and Paleobiogeography of the South American Sigmodontine Rodents". Molecular Biology and Evolution. 15 (1): 35–49. doi:10.1093/oxfordjournals.molbev.a025845. PMID 9491603. Retrieved 2012-05-13. ^ Welker, F.; Collins, M. J.; Thomas, J. A.; Wadsley, M.; Brace, S.; Cappellini, E.; Turvey, S. T.; Reguero, M.; Gelfo, J. N.; Kramarz, A.; Burger, J.; Thomas-Oates, J.; Ashford, D. A.; Ashton, P. D.; Rowsell, K.; Porter, D. M.; Kessler, B.; Fischer, R.; Baessmann, C.; Kaspar, S.; Olsen, J. V.; Kiley, P.; Elliott, J. A.; Kelstrup, C. D.; Mullin, V.; Hofreiter, M.; Willerslev, E.; Hublin, J.-J. ; Orlando, L.; Barnes, I.; MacPhee, R. D. E. (2015-03-18). "Ancient proteins resolve the evolutionary history of Darwin's South American ungulates". Nature. 522 (7554): 81–84. doi:10.1038/nature14249. ISSN 0028-0836. PMID 25799987. Eisenberg, John F.; Redford, Kent H. (15 May 1989). Mammals of the Neotropics, Volume 1: The Northern Neotropics: Panama, Colombia, Venezuela, Guyana, Suriname, French Guiana. University of Chicago Press. ISBN 978-0-226-19540-7. OCLC 772478260. Eisenberg, John F.; Redford, Kent H. (15 April 1992). Mammals of the Neotropics, Volume 2: The Southern Cone: Chile, Argentina, Uruguay, Paraguay. University of Chicago Press. ISBN 978-0-226-70682-5. OCLC 180385879. Eisenberg, John F.; Redford, Kent H. (15 May 2000). 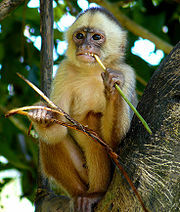 Mammals of the Neotropics, Volume 3: The Central Neotropics: Ecuador, Peru, Bolivia, Brazil. University of Chicago Press. ISBN 978-0-226-19542-1. OCLC 493329394. Emmons, Louise; Feer, François (January 1997). 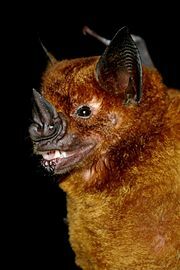 Neotropical Rainforest Mammals: A Field Guide. University of Chicago Press. ISBN 978-0-226-20721-6. OCLC 20296862. Gardner, Alfred L., ed. (1 March 2008). Mammals of South America, Volume 1: Marsupials, Xenarthrans, Shrews, and Bats. University of Chicago Press. ISBN 978-0-226-28240-4. OCLC 644361912. Lord, Rexford D. (30 January 2007). Mammals of South America. Johns Hopkins University Press. ISBN 978-0-8018-8494-8. OCLC 64442921. Patton, James L.; Pardiñas, Ulyses F. J.; D’Elía, Guillermo, eds. (9 March 2015). Mammals of South America, Volume 2: Rodents. University of Chicago Press. ISBN 978-0-226-16957-6. OCLC 921432000.